MANILA, Philippines –Metropolitan Bank &amp; Trust Co. (Metrobank) is chosen as one of theLocal Equity Fund Managers (LEFM) of Pag-IBIG Fund. As part of the government’s efforts to diversify its investment portfolio, Pag-IBIG Fund announced last year that they will be looking for LEFMs. According to Pag-IBIG Fund Chief Executive Officer Acmad Rizaldy Moti, Pag-IBIG will invest a total of PhP 5 billion in local equities, broken down into five PhP 1 billion lots. “Pag-IBIG Fund continues to grow, breaking performance records year after year.In 2018, our total assets breached the P500 billion mark for the first time. We owe it to the 14 million Pag-IBIG Fund members who trust us to manage and grow their savings. Thus, we are tapping Metrobank’s expertise, sound policies, and effective fund management strategies to manage part of our equity fund to help us sustain the Fund’s growth that will redound to the benefit of our members,” Moti said. Metrobank, along with four other LEFMs who participated in the bid, secured one of the five lots. 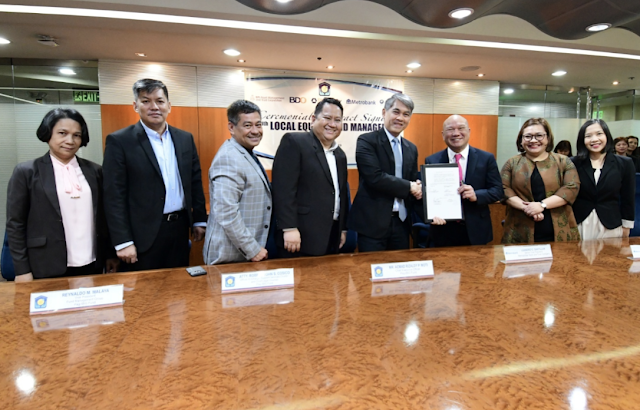 “We are privileged to work with Pag-IBIG Fund in their first foray into the stock market,” said Metrobank Senior Vice President andHead of Trust Banking Group, Dondi Santillan. “Our over six decades of banking and investment experience, along with our award-winning fund managers, ensures that the investment is in good hands,” he continued. Pag-IBIG Fund remains as one of the strongest government institutions today with P533.72 billion in total assets as of December 2018.